Did you know that Medicare Supplement insurance costs in Syracuse can vary by as much as 56.8 percent. If saving money every month is important to you, that’s an important fact to know. The 56.8 percent difference is for virtually identical insurance coverage. Below, we show actual examples of current rates for a 65-year-old man and a 65-year old woman. We compare Medicare Supplement Plan F. Plan F is the most popular plan current purchased by about 60 percent of people choosing to buy Medigap insurance protection. 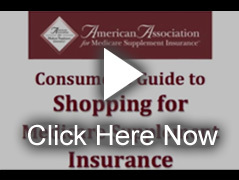 A little info about us: We are the American Association for Medicare Supplement Insurance. Our Association does NOT endorse, sell or recommend any particular insurance company or Medigap policy. We are independent and see our role as an advocacy and educational organization. We serve both consumers and insurance professionals who market Medicare insurance protection. We share this information because we believe it is important. Saving money often is. By the way, Medicare Supplement insurance is sometimes called Medigap. Because many people refer to it as Medigap, you’ll see that we use the two terms interchangeably on our website. The Association maintains the largest online database of local Medigap insurance agents. You can use it to find local Medicare Supplement insurance agents. It’s FREE TO USE. It’s completely ANONYMOUS. You DO NOT ENTER any of your own personal information when searching the directory. SIMPLY CLICK THIS LINK to access the Association’s Directory. You will see agents throughout the State of New York. We provide this as a valuable service to help consumers connect with area professionals. Lowest cost for Plan F, non-smoker, no discounts = $201.75-per-month. Highest cost for Plan F, non-smoker, no discounts = $361.74-per-month. Costs shown above are based on 2018 Association analysis conducted prior to Medicare Open Enrollment and subject to change. For many people selecting the right Medicare insurance policy can be confusing. There’s Medicare Advantage, Medicare Supplement, Part D … and then comparing the various plans and options. You have a friend or relative living nearby and they love their plan. But, that plan may not be available to you. And, then there’s the price you pay for Medigap insurance which can vary based on your Zip Code. That’s why the Association believes that your first important choice is finding a professional to work with. They can be local or you can work with them over the phone. But, you want someone who is committed to explaining your options and helping you make a decision that’s best suited to your needs – your health preferences – and, of course, your budget. Medicare insurance agents do not charge for their assistance. They earn their living by being paid a commission. The commission is built into the Medigap insurance policy. It is paid to them by the insurance company. DO YOU REPRESENT ONE MEDIGAP COMPANY – or MULTIPLE COMPANIES? Some agents only offer Medicare Supplement insurance from one company. Others, who are typically referred to as brokers, can offer policies from multiple companies. The Association doesn’t recommend one over the other (we love them all equally!). But, you should know this important piece of information. Here’s what you should ask: “how many Medicare insurance companies are you appointed to sell?” Appointed is industry jargon that means they can actually sell you a policy from a specific company. Agents can only earn a commission from companies they are appointed with. We thank you for taking the time to read this information. If you have questions, we urge you to use the Association’s FIND AN AGENT look-up to find Medicare insurance agents in your area. Some consumers query several agents to evaluate their responses and willingness to help. That is a perfectly fine way to begin your process of getting information.